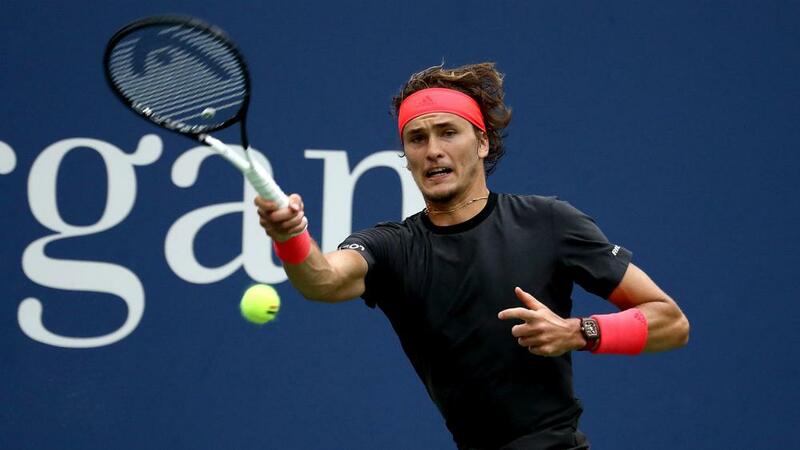 World number four Alexander Zverev was a shock third-round casualty at the US Open, where Marin Cilic survived a nail-biting four-hour contest against Australian sensation Alex De Minaur. Zverev has only reached the quarter-finals of a grand slam once in his career and the German's woes continued following a surprise four-set loss to compatriot Philipp Kohlschreiber in New York on Saturday. Swiss superstar and 20-time major winner Roger Federer dismissed Nick Kyrgios 6-4 6-1 7-5 at Flushing Meadows, while former world number one Novak Djokovic outclassed Richard Gasquet 6-2 6-3 6-3 to reach the last 16. Former champion and Australian Open runner-up Cilic needed an eighth match point to down De Minaur after 2:22am in the Big Apple. The 21-year-old's elimination from the US Open means he failed to advance to the last 16 of a major this year, having lost in the third round at the Australian Open and Wimbledon. Zverev said afterwards: "At tour events, I lose as well, there's just more tour events. You probably recognise it less. I lost to Robin Hasse in Cincinnati and I lost to [Stefanos] Tsitsipas in Toronto. Those losses weren't great for me, either. There's a lot of focus on the grand slams." Kei Nishikori awaits Kohlschreiber after the 2014 runner-up trumped Diego Schwartzman 6-4 6-4 5-7 6-1. Omnisport's reporter on Arthur Ashe Stadium cannot have been the only person frustrated by Kyrgios' hit-and-miss showing against Federer, who will face another Australian next – John Millman. Kyrgios started superbly, holding serve with ease, only to suffer a familiar slump after Federer snatched the opening set with a break in the 10th game. In his post-match news conference, Kyrgios was asked if he was satisfied with his career to date and acknowledged his struggle for consistency owed more to his mind than his body. "Obviously I want to achieve more in the sport," he said. "In my career, I have been around for about four years now. I have barely done anything. I think I can do a lot more. "As I've said, it's all mental with me, I think. If I want it enough, you know, I have a coaching option, psychology option. I think there is a lot more things to explore." An 11th consecutive last-16 appearance in New York beckons for Djokovic following his masterclass against French 26th seed Gasquet. Djokovic was ruthless from the baseline and saved all five break points he faced to make it 11 successive wins over Gasquet. The two-time US Open champion and sixth seed will next meet Joao Sousa, who upset Lucas Pouille. The 19-year-old Aussie was down 2-5 and 0-40 in the final set as Cilic served for the match. However, De Minaur sensationally saved six match points as he tied the score at 5-5 before Croatian seventh seed Cilic finally prevailed 4-6 3-6 6-3 6-4 7-5. "Incredible spirit, incredible fighting spirit. What a comeback he made at 5-2, the crowd was helping him," Cilic said after the match. "He played some amazing tennis, I was just a little bit luckier today." Cilic will play David Goffin for a spot in the quarter-finals after the 10th seed beat Leonard-Jan Struff 6-4 6-1 7-6 (7-4).